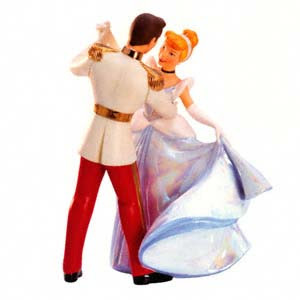 One of the highest compliments a dad can be paid is having their daughter to want them to be their prince at the ball. Ever since Georgia grew beyond Veggie Tales (she still enjoys Bob & Larry), she's had a fascination with the Disney Princesses. Cinderella remains her favorite but she must compete with Sleepy Beauty, Ariel, and Belle. Coupled with her love to dance and the splendor of a ball, Georgia loves to put one of her "dress-up gowns" and go to the Ball. It's here, dads, that we can be amerce ourselves in the roll or skim through it. I've been there...you want to be a good dad and show her attention...you want to play the roll one more time. Maybe you even want to avoid the drama, so you half-heartily perform your duties and breathe a sigh of satisfaction when you can return to your agenda. There's no doubt you'll be in that place, again. But I pray it's not too often. I've learned to cherish that request to dance with her. To realize that being her Prince is so temporary before she's off to other activities...other games...other friends. Before she has no time for me until I must give her away at her wedding...when she really will have her Prince. Even as odd as it sounds, I've also learned how special it is when G talks about marrying me. It doesn't do much good to explain to her that Mommy and I are married and she can't me. In her mind, it's a great reason to wear a dress and do something really special with her daddy. It's the sweetest of innocent requests which validates where one is as a father with their daughter. Enjoy the Steven Curtis Chapman video below and keep watching his explanation of the inspiration of the song which follows the video. Remember, dads, we only have so many dances.